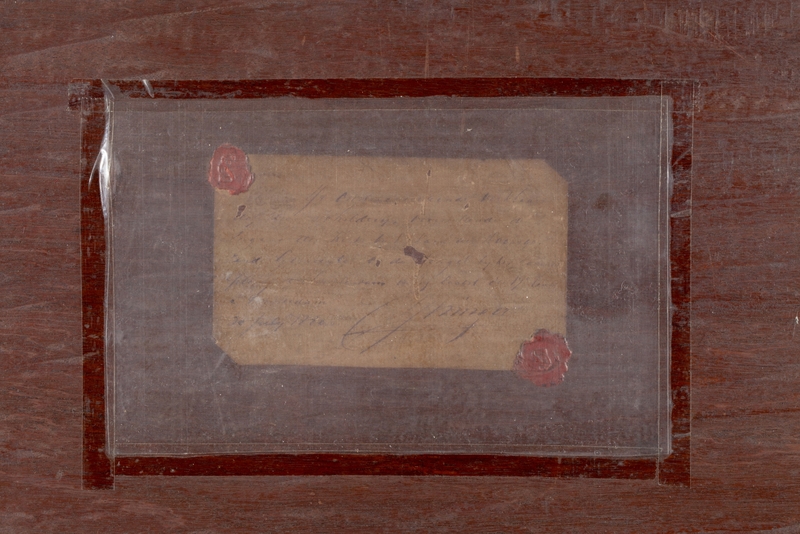 Studio label verso.which is signed, dated and inscribed 'De ondergeteekende verklaart dat deze schilderij, voorstellende de ingang der Kerk bij het Lam der Doopsgezinde Gemeente bij de Singel bij het Koningsplein te Amsterdam en bij laatst de 17e Eeuwse Amsterdam' (on a label attached to the reverse) with the artist’s seal. Cornelis Springer (1817-1891) has been called the “greatest painter among the architects, and the greatest architect among the painters”. 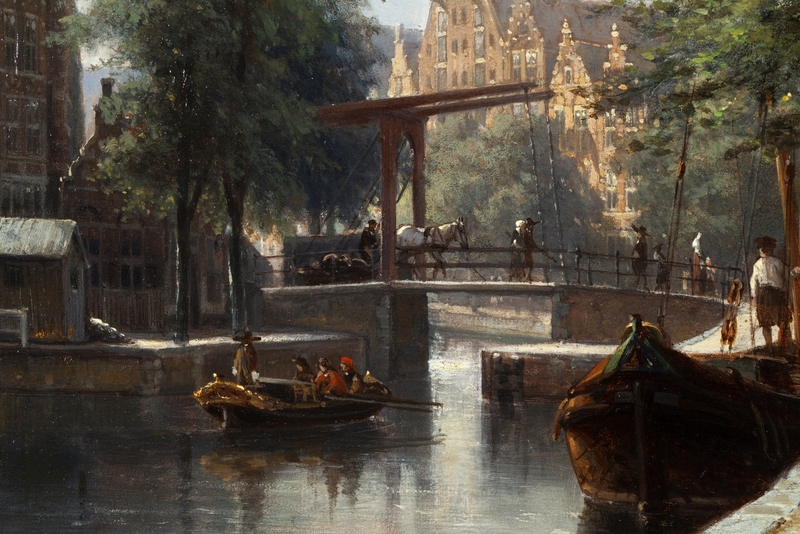 Cornelis Springer mainly painted town and village scenes in which facades and staffage are bathed in warm sunlight. Together with B.C. 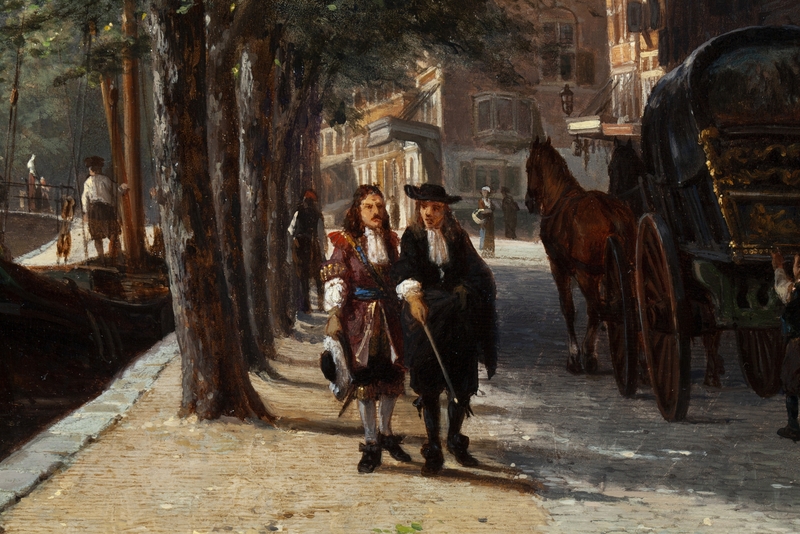 Koekkoek and A. Schelfhout, he belongs to the leading painters of Dutch Romanticism. 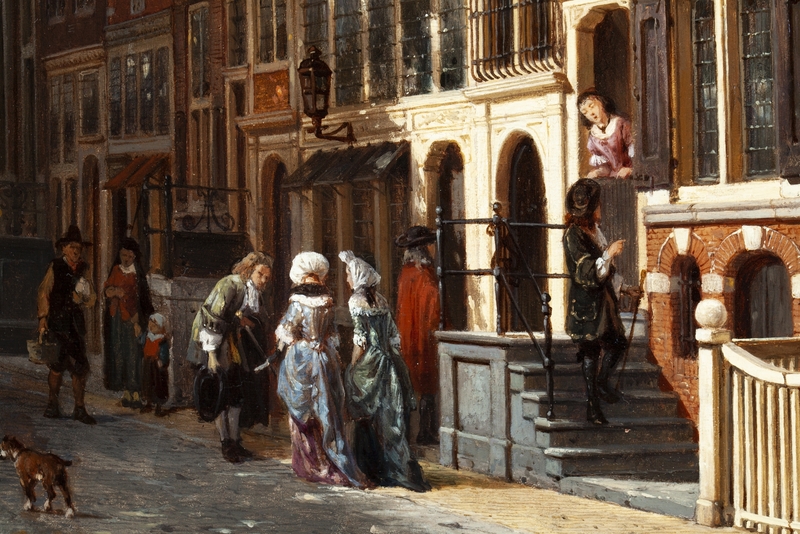 In an era where cities were undergoing many changes, Springer depicted his romanticized vision of the streets, houses and the Dutch people. 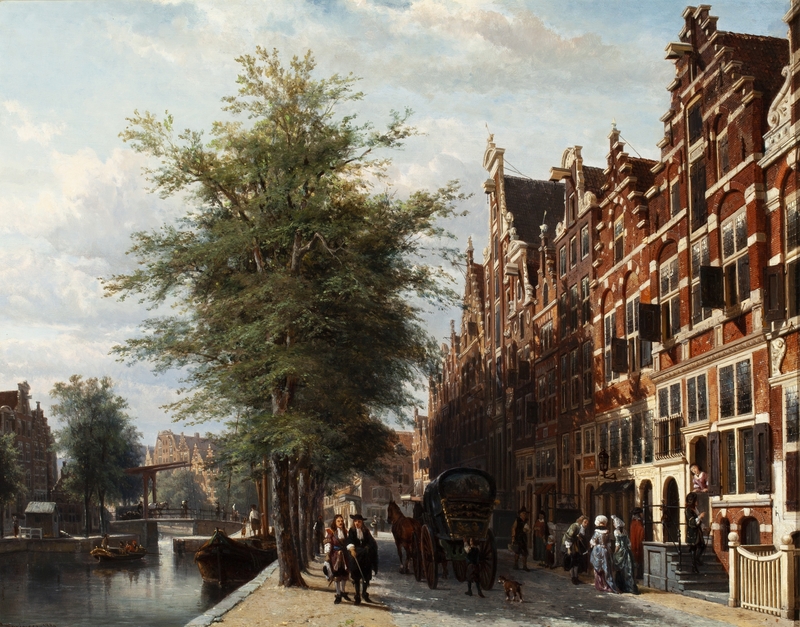 Springer traveled throughout the Netherlands to document the various cities including Amsterdam. Springer was trained by Jacobus van der Stok (1795-1864), Hendrik Gerrit ten Cate (1803-1856) and Kaspar Karsen (1810-1896) and received lessons in architectural drawing and perspective from his brother Hendrik Springer (1805-1867). G.M. 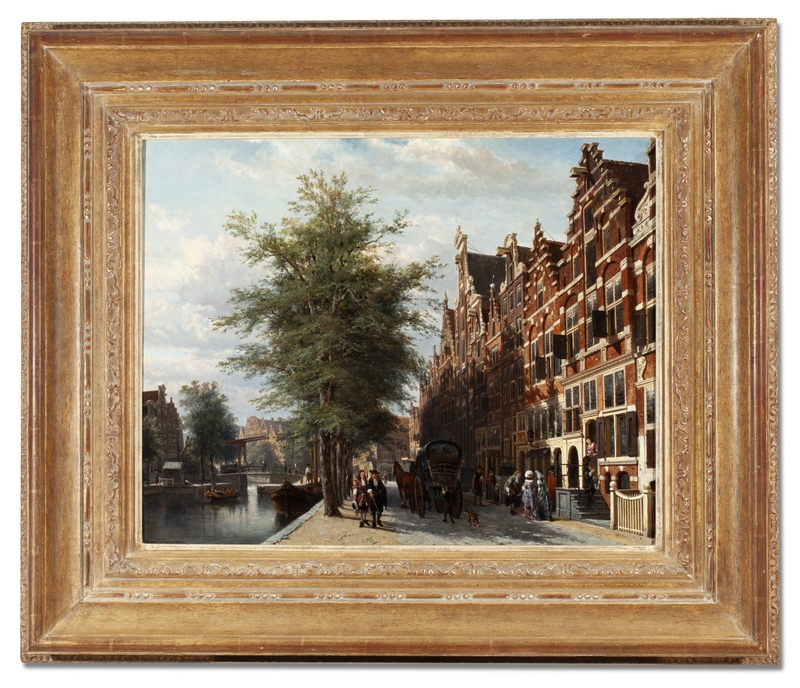 Mathijssen, Leeuwarden, 1880, who acquired the painting directly from the artist for fl. 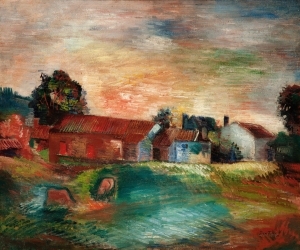 1000,-.; Anonymous Sale; Leeuwarden, 29 April 1904, lot 50; Anonymous Sale; F. Muller & cie, 23 March 1943, lot 404; with Gebr. 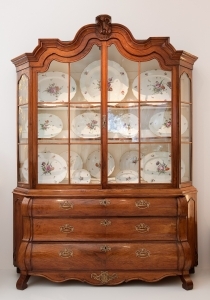 Douwes, Amsterdam, inv.no. 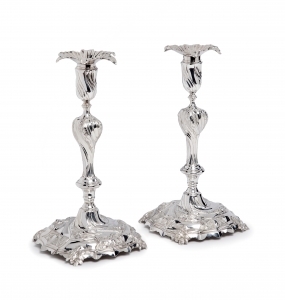 9308; Dutch private collection; Dutch private collection 2010-2019.